Can you believe that it’s been 13 years since Finding Nemo taught us that “fish are friends, not food”? 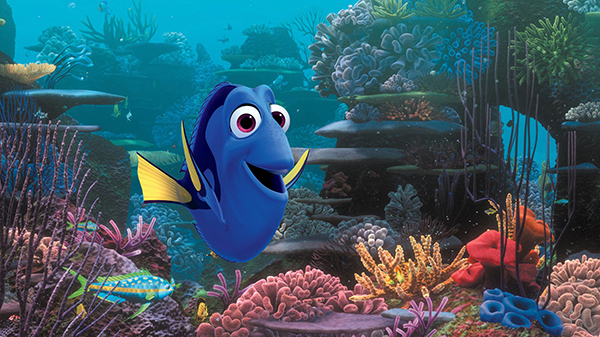 Yep, clown fish Marlin and forgetful blue tang Dory’s search for little Nemo first wowed audiences more than a decade ago. Which means: You old! And if like most of us here at FHM HQ, you were a bumbling teenage stoner who, back then, enjoyed Pixar’s under the sea adventure because it was super trippy and kind of made you cry at the end (admit it! ), then chances are you’ve grown up tons and might even have a kid of your own. Since Father’s Day is this weekend, Finding Dory, the sequel to Finding Nemo, is the perfect animated flick for you and the whole fam. Here are some reasons why you should take another trip with your favorite fish friends. And hey, if you’re still single with no kids to speak of, keep your fins up and just keep swimming! This is still a movie you can enjoy. Pixar fans have come to embrace the animated shorts that serve as a precursor to the studio’s feature films. 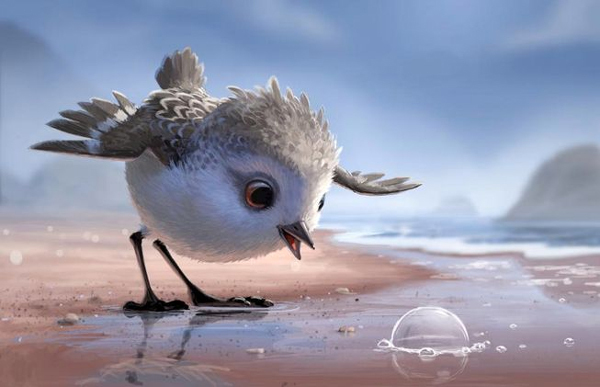 And for Finding Dory, moviegoers will get a glimpse of Piper, the story of a cute hatchling shorebird that must face its fears in the midst of danger. Not only does Piper draw upon the themes of Finding Nemo and Finding Dory, but it’s also a visual delight. It's the kind of heartwarming tale that has to be shared with your young one—a moment that will net you big daddy points from your kid. The story takes place roughly a year after Nemo returns to the reef. 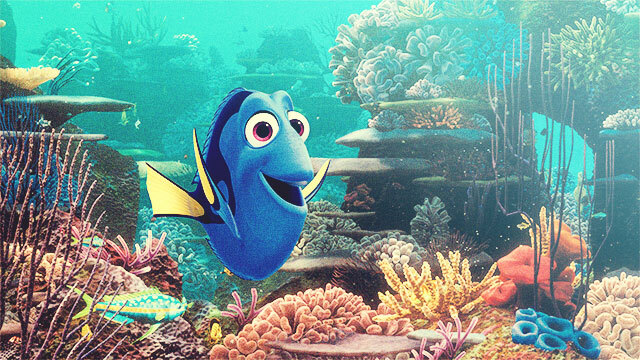 This time around, Dory (still voiced by Ellen DeGeneres) gets flashbacks of her family. These memories of her parents force her to look into her past and search for her real home. With Marlin and Nemo by her side, they set out for sunny California to learn more about where she came from. It's an adventure that you'll feel invested in whether you're a 30-year-old dad or a kid. And that's what makes these Pixar films so great, right? Their stories connect whatever your age is, making them a great way to bond for families. Finding Dory is filled to the brim with lush animation. Just like its predecessor, seascapes of colorful coral and deep blues become a hypnotizing reprieve from the eyesores of the daily grind. A Marine Life Institute, which is a central setting in the movie, turns into a playground of whimsical tricks that the animators obviously had fun with. At this point in the game, Pixar has a marvelous, unparalleled command of rendering imagination into a palpable silver screen experience. It also shows you just how much the technology has grown since the original Nemo. 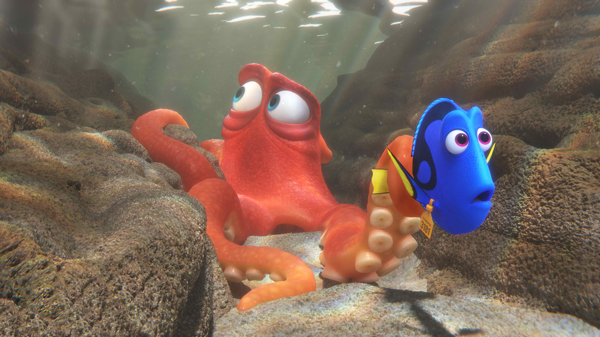 Dory’s short-term memory loss was the pivotal characteristic that made the character so memorable. It’s even safe to say that, as the sidekick in the first movie, she stole the spotlight. This flaw, which was originally used as a catalyst for riotous laughs, is what helps the character figure out her strengths in the sequel. And although the movie may not be the most groundbreaking Pixar outing, the jokes and punch lines are fresh—thanks in most part to Ellen DeGeneres’ on-point delivery. The movie is also an aquarium of touching lessons for kids and kids at heart. Dory learns that family need not just be biological—it can be made up of the friends we choose to surround ourselves with. It's a great lesson to teach the kids: You can get warmth and love not just from actual family but from other people too—your friends, the people you work with, and the people you come across on a daily basis. In the end, Finding Dory is mostly a celebration of individual differences. It’s about harnessing the power of one’s uniqueness to find your place in the vast ocean of life.